The students of International Performance Research (MA) write about their experiences during Baltic Circle International Theatre Festival for Liikekieli.com. Feel free to comment, question and give some feedback on Armanc Yildiz’s review of Our Social Democratic Bodies by Maija Hirvanen. A rectangular stage. Three performers on three corners. Each has their own spotlights. A woman, wearing a dress which looks like a 20s showgirls costume. Another woman, wearing a trench coat. The man, wearing a vest and trousers. All dressed in beige. Waiting. Waiting for the audience to be seated. With a little, wicked smile on their faces. Maija Hirvanen’s Our Social Democratic Bodies is the first piece of the trilogy, Operation We, and the performance appears only twice during the Baltic Circle festival. It was premiered in April 2011, a date important for its proximity to Finland’s parliamentary elections. The second piece, For Those Who Have Time, premiered during the recent dance festival, Moving in November. The piece makes the audience question the issues with the social democracy and welfare state, specifically in Finland. 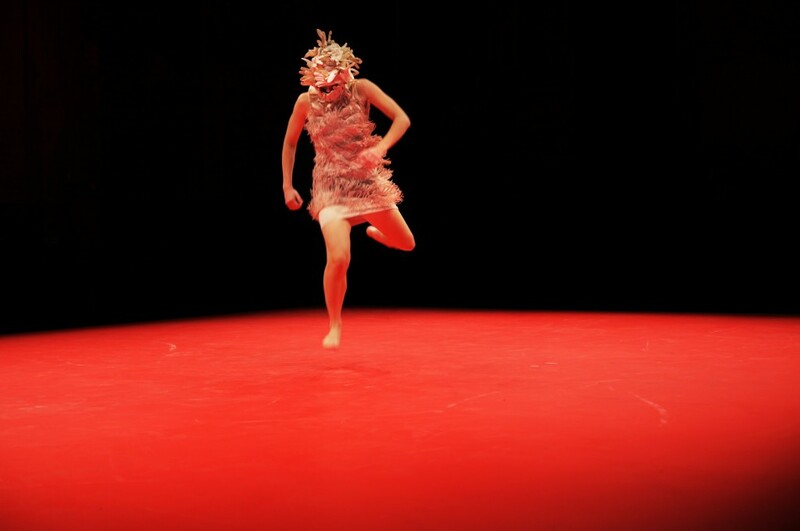 Together with the performers, Hirvanen’s choice of different media during the performance creates a balanced multiplicity in terms of different means of communication. Bringing body, image and text together, the piece manages to communicate its message, which is quite clear and delightfully political, with different audiences; from a contemporary dance buff to a street activist. In terms of form, the performance was multilayered and divided into separate pieces, and it was the curation of the separate pieces which touched upon many things but conveyed a coherent experience in the end. Yet the coherence of it came more from a thematic perspective, which was too emphasized at times and weakened the performance as a whole. The minimal and short performances at the beginning; the rhythm with sticks, playing with ribbons and a game of altruism and civilization – as I would like to call it – were simple in their aesthetics yet their simplicity was successful in revealing the irrationalities of the political system, elections, negotiations and consensus models. History writing and collective memory was another theme in the performance. Hirvanen creates “situations” for the dancers, such as performing a little piece called “dancing the war away,” or performing the evolution of human beings by following a diagonal route on stage and marking the history with colorful t-shirts, a cathartic self punishment session reflecting on the mistakes made on the way to civilization, and forcefully agreeing on a single version of historical narrative. The standardized social democratic bodies interact fruitfully with these situations, standardization being a keyword for the whole performance. The last part of the performance was such an interesting self-reflection on the genre of dance as entertainment – which was also the case in For Those Who Have Time – but also a reflection on the communicative frames between text and movement. Hirvanen makes sure that everyone “understands” what they see, which is a social democratic gesture towards the arts in general and Our Social Democratic Bodies has something to offer to all different kinds of spectators. Writer studied Cultural Studies in Istanbul and currently studying International Performance Research (MA) in Helsinki University.